EPA 35 MPG Hwy/26 MPG City! Classica trim, Hypnotique Red exterior. Bluetooth, iPod/MP3 Input, TECHNOLOGY GROUP, TRANSMISSION: 6-SPEED AISIN AUTOMATIC... Alloy Wheels, Back-Up Camera, Turbo Charged. CLICK ME!KEY FEATURES INCLUDEBack-Up Camera, Turbocharged, iPod/MP3 Input, Bluetooth, Aluminum Wheels MP3 Player, Steering Wheel Controls, Electronic Stability Control, Bucket Seats, Brake Assist.OPTION PACKAGESTRANSMISSION: 6-SPEED AISIN AUTOMATIC Leather Wrap Automatic Shift Knob, TECHNOLOGY GROUP For More Info, Call 800-643-2112, Remote Proximity Keyless Entry, 1-Yr SiriusXM Radio Service, SiriusXM Satellite Radio.VEHICLE REVIEWSGreat Gas Mileage: 35 MPG Hwy.WHO WE AREBaxter Chrysler Dodge Jeep Ram West Dodge, a full-service car dealership in Omaha, is your source for new cars, trucks and SUVs both online and in our showroom. We also sell used vehicles and certified pre-owned vehicles. At our 17950 Burt Street location, we also provide Mopar parts and auto repair service. We're part of Baxter Auto, the largest dealer group in Nebraska.Fuel economy calculations based on original manufacturer data for trim engine configuration. Please confirm the accuracy of the included equipment by calling us prior to purchase. 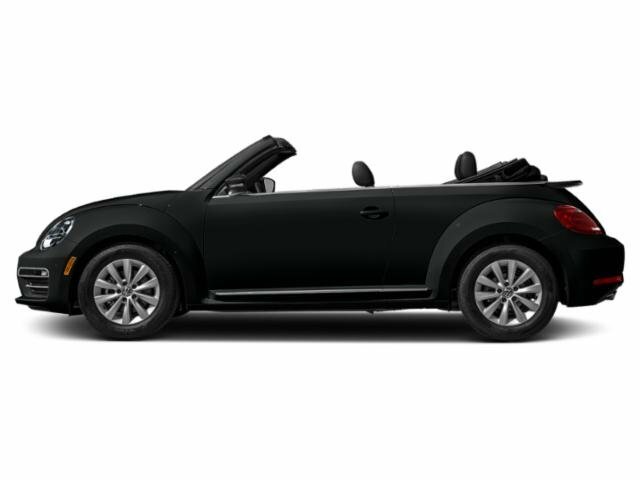 Heated Seats, Bluetooth, VW CARE, Alloy Wheels, Turbo Charged, iPod/MP3 Input, Back-Up Camera. FUEL EFFICIENT 33 MPG Hwy/26 MPG City!WHY BUY FROM USHere at Baxter Volkswagen Omaha, our commitment to our customers goes far beyond your initial vehicle purchase. We don't want you to just have a great buying experience at our Volkswagen dealership in Omaha, NE, we want to provide you with all that you need to have a wonderful life with your new car.OPTION PACKAGESVW CARE Volkswagen prepaid scheduled maintenance contract w/10,000-mile & 20,000-mile servicing for cars.Fuel economy calculations based on original manufacturer data for trim engine configuration. Heated Seats, Alloy Wheels, Turbo Charged, Bluetooth, iPod/MP3 Input, Back-Up Camera. FUEL EFFICIENT 33 MPG Hwy/26 MPG City!WHY BUY FROM USHere at Baxter Volkswagen Omaha, our commitment to our customers goes far beyond your initial vehicle purchase. We don't want you to just have a great buying experience at our Volkswagen dealership in Omaha, NE, we want to provide you with all that you need to have a wonderful life with your new car.Fuel economy calculations based on original manufacturer data for trim engine configuration. Heated Seats, Smart Device Integration, Cross-Traffic Alert, Hands-Free Liftgate, Dual Zone A/C, Back-Up Camera. Final Edition SE trim, STONEWASHED BLUE W/ BLACK ROOF exterior and CORNSILK BEIGE/TITAN BLACK RHOMBUS CLOTH interior CLICK NOW!KEY FEATURES INCLUDEHeated Driver Seat, Back-Up Camera, Turbocharged, Satellite Radio, iPod/MP3 Input, Bluetooth, CD Player, Keyless Start, Dual Zone A/C, Smart Device Integration, Cross-Traffic Alert, Hands-Free Liftgate, Blind Spot Monitor, Heated Seats. Rear Spoiler, MP3 Player, Keyless Entry, Steering Wheel Controls, Rollover Protection System. Volkswagen Final Edition SE with STONEWASHED BLUE W/ BLACK ROOF exterior and CORNSILK BEIGE/TITAN BLACK RHOMBUS CLOTH interior features a 4 Cylinder Engine with 174 HP at 5000 RPM*.VEHICLE REVIEWSGreat Gas Mileage: 33 MPG Hwy.BUY FROM AN AWARD WINNING DEALERWe've been honored with several customer service awards, including a Volkswagen Generation Best Dealer award. We offer autos made with the power of German engineering. Volkswagen has thought about every detail of every car, every step of the way.Horsepower calculations based on trim engine configuration. Fuel economy calculations based on original manufacturer data for trim engine configuration. Please confirm the accuracy of the included equipment by calling us prior to purchase. Heated Seats, NAV, Dual Zone A/C, SE PREMIUM PACKAGE, Turbo, Back-Up Camera, Keyless Start, Onboard Communications System. DEEP BLACK W/BLACK TOP exterior and TITAN BLACK V-TEX interior, SE trim. CLICK ME!KEY FEATURES INCLUDEHeated Driver Seat, Back-Up Camera, Turbocharged, Onboard Communications System, Keyless Start, Dual Zone A/C, Heated Seats Rear Spoiler, Keyless Entry, Steering Wheel Controls, Rollover Protection System, Electronic Stability Control.OPTION PACKAGESSE PREMIUM PACKAGE LED Rear License Plate Lights, Front & Rear Park Distance Control (Park Pilot), Halogen Front Fog Lights, low-speed corner illumination feature, LED Tail Lights, 18 Disc Alloy Wheels, Radio: AM/FM/HD/CD Player 6.3 Touchscreen, Discover Media, USB input, aux-in and voice control, Fender premium audio system w/subwoofer, VW Car-Net App-Connect smartphone integration and interface (w/Apple CarPlay, Android Auto and MirrorLink), VW Car-Net Security and Service connected car service (limited subscription), VW Car-Net Guide and Inform enhanced navigation and infotainment, Bluetooth connectivity (for compatible devices) and SiriusXM satellite radio (limited-time trial subscription), Bi-Xenon Headlights, LED Daytime Running Lights (DRL), Tires: 18 AS. 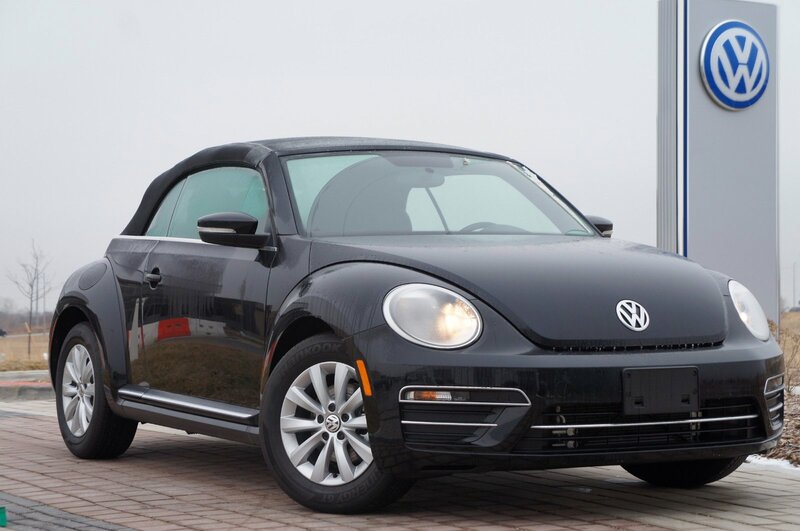 Volkswagen SE with DEEP BLACK W/BLACK TOP exterior and TITAN BLACK V-TEX interior features a 4 Cylinder Engine with 174 HP at 5000 RPM*.EXPERTS ARE SAYINGKBB.com explains The 2018 VW Beetle is a sporty drive, with plenty of power and agile handling. 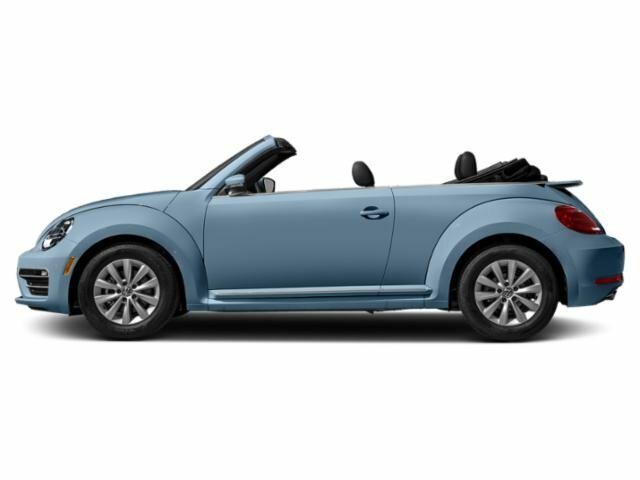 At freeway speeds, the Beetle feels stable and solid, returning the kind of ride and handling more commonly associated with a midsize sedan.. Great Gas Mileage: 33 MPG Hwy.OUR OFFERINGSWe've been honored with several customer service awardsHorsepower calculations based on trim engine configuration. Fuel economy calculations based on original manufacturer data for trim engine configuration. Please confirm the accuracy of the included equipment by calling us prior to purchase. 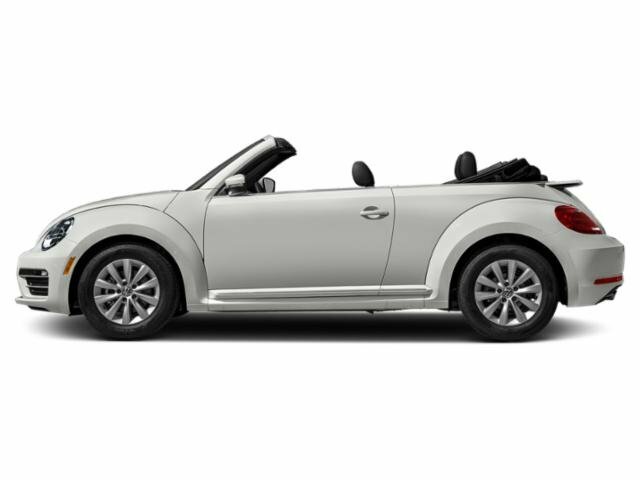 Heated Seats, iPod/MP3 Input, VW CARE, Aluminum Wheels, Turbo Charged Engine, Satellite Radio, Back-Up Camera. EPA 33 MPG Hwy/26 MPG City!WHY BUY FROM USHere at Baxter Volkswagen Omaha, our commitment to our customers goes far beyond your initial vehicle purchase. We don't want you to just have a great buying experience at our Volkswagen dealership in Omaha, NE, we want to provide you with all that you need to have a wonderful life with your new car.OPTION PACKAGESVW CARE Volkswagen prepaid scheduled maintenance contract w/10,000-mile & 20,000-mile servicing for cars.Fuel economy calculations based on original manufacturer data for trim engine configuration. Navigation, Heated Leather Seats, Keyless Start, Onboard Communications System, Back-Up Camera, Aluminum Wheels. Final Edition SEL trim, STONEWASHED BLUE W/ BROWN ROOF exterior and BLACK DIAMOND-STITCHED LEATHER interior. AND MORE!KEY FEATURES INCLUDELeather Seats, Navigation, Heated Driver Seat, Back-Up Camera, Turbocharged, Premium Sound System, Satellite Radio, iPod/MP3 Input, Onboard Communications System, Keyless Start, Dual Zone A/C, Smart Device Integration, Hands-Free Liftgate, Blind Spot Monitor, Cross-Traffic Alert. Rear Spoiler, MP3 Player, Keyless Entry, Steering Wheel Controls, Rollover Protection System. Volkswagen Final Edition SEL with STONEWASHED BLUE W/ BROWN ROOF exterior and BLACK DIAMOND-STITCHED LEATHER interior features a 4 Cylinder Engine with 174 HP at 5000 RPM*.VEHICLE REVIEWSGreat Gas Mileage: 33 MPG Hwy.WHY BUY FROM USWe've been honored with several customer service awards, including a Volkswagen Generation Best Dealer award. We offer autos made with the power of German engineering. Volkswagen has thought about every detail of every car, every step of the way.Horsepower calculations based on trim engine configuration. Fuel economy calculations based on original manufacturer data for trim engine configuration. Please confirm the accuracy of the included equipment by calling us prior to purchase. EPA 25 MPG Hwy/17 MPG City! Bluetooth, Keyless Start, iPod/MP3 Input, AIR CONDITIONING, TRANSMISSION: 6-SPEED MANUAL, ENGINE: 3.6L V6 24V VVT UPG I W/ESS, Back-Up Camera, 4x4. Sport trim, Black Clear Coat exterior. CLICK NOW!KEY FEATURES INCLUDE4x4, Back-Up Camera, iPod/MP3 Input, Bluetooth, Keyless Start MP3 Player, Steering Wheel Controls, Rollover Protection System, Electronic Stability Control, Bucket Seats.OPTION PACKAGESAIR CONDITIONING, SIRIUSXM SATELLITE RADIO For More Info, Call 800-643-2112, 1-Year SiriusXM Radio Service, TRANSMISSION: 6-SPEED MANUAL (STD), ENGINE: 3.6L V6 24V VVT UPG I W/ESS (STD).VEHICLE REVIEWSGreat Gas Mileage: 25 MPG Hwy.VISIT US TODAYBaxter Chrysler Dodge Jeep Ram Lincoln, a full-service car dealership in Lincoln, is your source for new cars, trucks and SUVs both online and in our showroom. We also sell used vehicles and certified pre-owned vehicles. At our 6601 Telluride Drive location, we also provide Mopar parts and auto repair service. We're part of Baxter Auto, the largest dealer group in Nebraska.Fuel economy calculations based on original manufacturer data for trim engine configuration. Please confirm the accuracy of the included equipment by calling us prior to purchase. 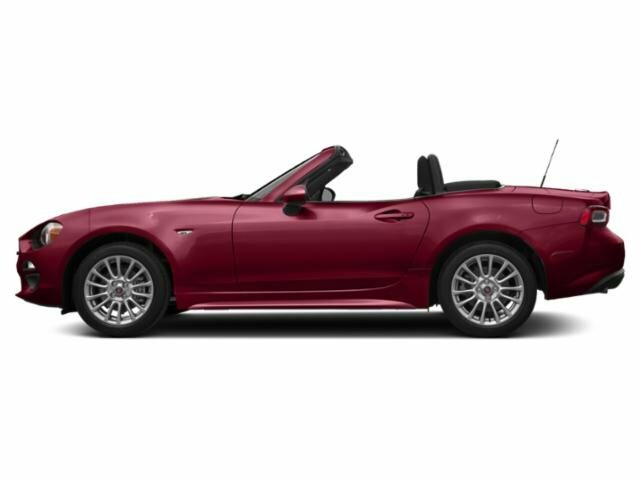 Navigation, Heated Leather Seats, Turbo Charged, Alloy Wheels, Back-Up Camera. FUEL EFFICIENT 33 MPG Hwy/26 MPG City!WHY BUY FROM USHere at Baxter Volkswagen Omaha, our commitment to our customers goes far beyond your initial vehicle purchase. We don't want you to just have a great buying experience at our Volkswagen dealership in Omaha, NE, we want to provide you with all that you need to have a wonderful life with your new car.Fuel economy calculations based on original manufacturer data for trim engine configuration. Sting exterior, Sport trim. FUEL EFFICIENT 25 MPG Hwy/23 MPG City! iPod/MP3 Input, Back-Up Camera, Keyless Start, Bluetooth, DEEP TINT SUNSCREEN WINDOWS, AIR CONDITIONING, TRANSMISSION: 8-SPEED AUTOMATIC (850R... 4x4 READ MORE!KEY FEATURES INCLUDE4x4, Back-Up Camera, iPod/MP3 Input, Bluetooth, Keyless Start MP3 Player, Steering Wheel Controls, Rollover Protection System, Electronic Stability Control, Bucket Seats.OPTION PACKAGESTRANSMISSION: 8-SPEED AUTOMATIC (850RE) Dana M200 Rear Axle, Hill Descent Control, Tip Start, AIR CONDITIONING, BLACK 3-PIECE HARD TOP Rear Window Defroster, Freedom Panel Storage Bag, Rear Window Wiper/Washer, ENGINE: 2.0L I4 DOHC DI TURBO ETORQUE Delete Alternator, GVWR: 5,000 lbs, 700 Amp Maintenance Free Battery, Supplemental Heater, 48V Belt Starter Generator, DEEP TINT SUNSCREEN WINDOWS, SIRIUSXM SATELLITE RADIO For More Info, Call 800-643-2112, 1-Yr SiriusXM Radio Service.EXPERTS CONCLUDEEdmunds.com's review says Now made of aluminum, the doors are much easier to lift off, especially if you roll down the window so you can reach through and pull the door free with the new handhold under the armrest.. Great Gas Mileage: 25 MPG Hwy.OUR OFFERINGSBaxter Chrysler Dodge Jeep Ram Lincoln, a full-service car dealership in Lincoln, is your source for new cars, trucks and SUVs both online and in our showroom. We also sell used vehicles and certified pre-owned vehicles. At our 6601 Telluride Drive location, we also provide Mopar parts and auto repair service. We're part of Baxter Auto, the largest dealer group in Nebraska.Fuel economy calculations based on original manufacturer data for trim engine configuration. Please confirm the accuracy of the included equipment by calling us prior to purchase. EPA 25 MPG Hwy/17 MPG City! Bright White Clear Coat exterior, Sport trim. 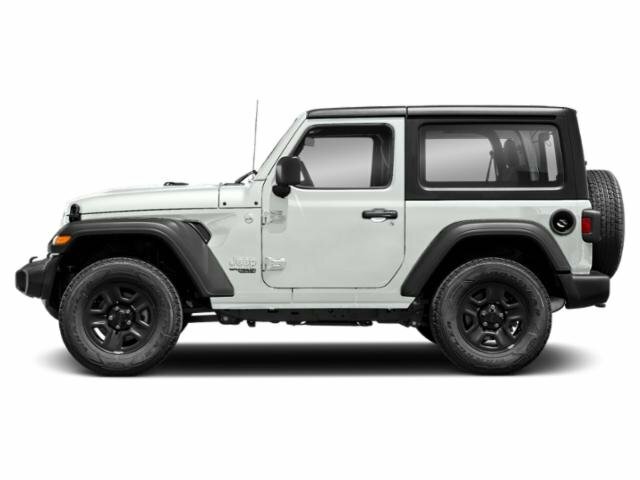 iPod/MP3 Input, Bluetooth, Keyless Start, AIR CONDITIONING, TRANSMISSION: 6-SPEED MANUAL, ENGINE: 3.6L V6 24V VVT UPG I W/ESS, BLACK 3-PIECE HARD TOP SEE MORE!KEY FEATURES INCLUDE4x4, Back-Up Camera, iPod/MP3 Input, Bluetooth, Keyless Start. MP3 Player, Steering Wheel Controls, Rollover Protection System, Electronic Stability Control, Bucket Seats.OPTION PACKAGESAIR CONDITIONING, BLACK 3-PIECE HARD TOP Rear Window Defroster, Freedom Panel Storage Bag, Rear Window Wiper/Washer, No Soft Top, SIRIUSXM SATELLITE RADIO For More Info, Call 800-643-2112, 1-Year SiriusXM Radio Service, TRANSMISSION: 6-SPEED MANUAL (STD), ENGINE: 3.6L V6 24V VVT UPG I W/ESS (STD).EXPERTS RAVEEdmunds.com's review says Its turning radius is admirably tight, and it responds well in corners. Despite its boxy shape, the Wrangler feels coordinated and willing on mountain roads, which is great because that's how you get to trailheads.. Great Gas Mileage: 25 MPG Hwy.WHO WE AREBaxter Chrysler Dodge Jeep Ram West Dodge, a full-service car dealership in Omaha, is your source for new cars, trucks and SUVs both online and in our showroom. We also sell used vehicles and certified pre-owned vehicles. At our 17950 Burt Street location, we also provide Mopar parts and auto repair service. We're part of Baxter Auto, the largest dealer group in Nebraska.Fuel economy calculations based on original manufacturer data for trim engine configuration. Please confirm the accuracy of the included equipment by calling us prior to purchase. Sport S trim, Granite Crystal Met. Clear Coat exterior. Back-Up Camera, iPod/MP3 Input, Bluetooth, ANTI-SPIN DIFFERENTIAL REAR AXLE, QUICK ORDER PACKAGE 23S, TRANSMISSION: 6-SPEED MANUAL, ENGINE: 3.6L V6 24V VVT UPG I W/ESS AND MORE!KEY FEATURES INCLUDE4x4, Back-Up Camera, iPod/MP3 Input, Bluetooth, Aluminum Wheels MP3 Player, Privacy Glass, Child Safety Locks, Steering Wheel Controls, Rollover Protection System.OPTION PACKAGESQUICK ORDER PACKAGE 23S Engine: 3.6L V6 24V VVT UPG I w/ESS, Transmission: 6-Speed Manual, Front 1-Touch Down Power Windows, Remote Keyless Entry, Speed Sensitive Power Locks, Leather Wrapped Steering Wheel, Power Heated Mirrors, Automatic Headlamps, Sun Visors w/Illuminated Vanity Mirrors, Security Alarm, ANTI-SPIN DIFFERENTIAL REAR AXLE, SIRIUSXM SATELLITE RADIO For More Info, Call 800-643-2112, 1-Yr SiriusXM Radio Service, TRANSMISSION: 6-SPEED MANUAL (STD), ENGINE: 3.6L V6 24V VVT UPG I W/ESS (STD).EXPERTS CONCLUDEEdmunds.com explains Now made of aluminum, the doors are much easier to lift off, especially if you roll down the window so you can reach through and pull the door free with the new handhold under the armrest..WHY BUY FROM USBaxter Chrysler Dodge Jeep Ram West Dodge, a full-service car dealership in Omaha, is your source for new cars, trucks and SUVs both online and in our showroom. We also sell used vehicles and certified pre-owned vehicles. At our 17950 Burt Street location, we also provide Mopar parts and auto repair service. We're part of Baxter Auto, the largest dealer group in Nebraska.Please confirm the accuracy of the included equipment by calling us prior to purchase. Back-Up Camera, iPod/MP3 Input, Bluetooth, ANTI-SPIN DIFFERENTIAL REAR AXLE, QUICK ORDER PACKAGE 23S, TRANSMISSION: 6-SPEED MANUAL, ENGINE: 3.6L V6 24V VVT UPG I W/ESS, 4x4. Black Clear Coat exterior, Sport S trim. CLICK ME!KEY FEATURES INCLUDE4x4, Back-Up Camera, iPod/MP3 Input, Bluetooth, Aluminum Wheels MP3 Player, Privacy Glass, Child Safety Locks, Steering Wheel Controls, Rollover Protection System.OPTION PACKAGESQUICK ORDER PACKAGE 23S Engine: 3.6L V6 24V VVT UPG I w/ESS, Transmission: 6-Speed Manual, Front 1-Touch Down Power Windows, Remote Keyless Entry, Speed Sensitive Power Locks, Leather Wrapped Steering Wheel, Power Heated Mirrors, Automatic Headlamps, Sun Visors w/Illuminated Vanity Mirrors, Security Alarm, ANTI-SPIN DIFFERENTIAL REAR AXLE, SIRIUSXM SATELLITE RADIO For More Info, Call 800-643-2112, 1-Yr SiriusXM Radio Service, TRANSMISSION: 6-SPEED MANUAL (STD), ENGINE: 3.6L V6 24V VVT UPG I W/ESS (STD).EXPERTS REPORTEdmunds.com's review says Now made of aluminum, the doors are much easier to lift off, especially if you roll down the window so you can reach through and pull the door free with the new handhold under the armrest..VISIT US TODAYBaxter Chrysler Dodge Jeep Ram West Dodge, a full-service car dealership in Omaha, is your source for new cars, trucks and SUVs both online and in our showroom. We also sell used vehicles and certified pre-owned vehicles. At our 17950 Burt Street location, we also provide Mopar parts and auto repair service. We're part of Baxter Auto, the largest dealer group in Nebraska.Please confirm the accuracy of the included equipment by calling us prior to purchase. 4x4, Alloy Wheels, CD Player, iPod/MP3 Input, TRAILER TOW GROUP, TRANSMISSION: 5-SPEED AUTOMATIC (W5A5... QUICK ORDER PACKAGE 24S SPORT S, CONNECTIVITY GROUP, Trailer Hitch. Sport S trim, Chief Clear Coat exterior CLICK NOW!KEY FEATURES INCLUDE4x4, iPod/MP3 Input, CD Player, Aluminum Wheels. MP3 Player, Steering Wheel Controls, Child Safety Locks, Rollover Protection System, Electronic Stability Control.OPTION PACKAGESQUICK ORDER PACKAGE 24S SPORT S Engine: 3.6L V6 24V VVT, Transmission: 5-Speed Automatic (W5A580), Deep Tint Sunscreen Windows, Leather Wrapped Steering Wheel, Front 1-Touch Down Power Windows, Remote Keyless Entry, Power Heated Mirrors, Power Locks, Auto Dim Mirror w/Reading Lamp, Security Alarm, Chrome/Leather Wrapped Shift Knob, TRANSMISSION: 5-SPEED AUTOMATIC (W5A580) Hill Descent Control, Tip Start, BLACK 3-PIECE HARD TOP Rear Window Defroster, Freedom Panel Storage Bag, Rear Window Wiper/Washer, CONNECTIVITY GROUP Uconnect Voice Command w/Bluetooth, Vehicle Information Center, Tire Pressure Monitoring Display, ANTI-SPIN DIFFERENTIAL REAR AXLE, TRAILER TOW GROUP Class II Receiver Hitch, Trailer Tow w/4-Pin Connector Wiring, ENGINE: 3.6L V6 24V VVT (STD).EXPERTS ARE SAYINGEdmunds.com explains It's more capable than any other SUV, and its relatively low price is hard to beat..BUY FROM AN AWARD WINNING DEALERBaxter Chrysler Dodge Jeep Ram Lincoln, a full-service car dealership in Lincoln, is your source for new cars, trucks and SUVs both online and in our showroom. We also sell used vehicles and certified pre-owned vehicles. At our 6601 Telluride Drive location, we also provide Mopar parts and auto repair service. We're part of Baxter Auto, the largest dealer group in Nebraska.Please confirm the accuracy of the included equipment by calling us prior to purchase. 4x4, Alloy Wheels, CD Player, iPod/MP3 Input, TRAILER TOW GROUP, TRANSMISSION: 5-SPEED AUTOMATIC (W5A5... QUICK ORDER PACKAGE 24S SPORT S, CONNECTIVITY GROUP, Tow Hitch. Chief Clear Coat exterior, Sport S trim. READ MORE!KEY FEATURES INCLUDE4x4, iPod/MP3 Input, CD Player, Aluminum Wheels. MP3 Player, Steering Wheel Controls, Child Safety Locks, Rollover Protection System, Electronic Stability Control.OPTION PACKAGESQUICK ORDER PACKAGE 24S SPORT S Engine: 3.6L V6 24V VVT, Transmission: 5-Speed Automatic (W5A580), Deep Tint Sunscreen Windows, Leather Wrapped Steering Wheel, Front 1-Touch Down Power Windows, Remote Keyless Entry, Power Heated Mirrors, Power Locks, Auto Dim Mirror w/Reading Lamp, Security Alarm, Chrome/Leather Wrapped Shift Knob, TRANSMISSION: 5-SPEED AUTOMATIC (W5A580) Hill Descent Control, Tip Start, BLACK 3-PIECE HARD TOP Rear Window Defroster, Freedom Panel Storage Bag, Rear Window Wiper/Washer, CONNECTIVITY GROUP Uconnect Voice Command w/Bluetooth, Vehicle Information Center, Tire Pressure Monitoring Display, ANTI-SPIN DIFFERENTIAL REAR AXLE, TRAILER TOW GROUP Class II Receiver Hitch, Trailer Tow w/4-Pin Connector Wiring, ENGINE: 3.6L V6 24V VVT (STD).EXPERTS CONCLUDEEdmunds.com explains It's more capable than any other SUV, and its relatively low price is hard to beat..OUR OFFERINGSBaxter Chrysler Dodge Jeep Ram Lincoln, a full-service car dealership in Lincoln, is your source for new cars, trucks and SUVs both online and in our showroom. We also sell used vehicles and certified pre-owned vehicles. At our 6601 Telluride Drive location, we also provide Mopar parts and auto repair service. We're part of Baxter Auto, the largest dealer group in Nebraska.Please confirm the accuracy of the included equipment by calling us prior to purchase. FUEL EFFICIENT 24 MPG Hwy/22 MPG City! Sport trim, Ocean Blue Metallic C/C exterior. iPod/MP3 Input, Bluetooth, Keyless Start, ENGINE: 2.0L I4 DOHC DI TURBO ETORQUE... TRAILER TOW & HD ELECTRICAL GROUP, Trailer Hitch, 4x4 CLICK ME!KEY FEATURES INCLUDE4x4, Back-Up Camera, iPod/MP3 Input, Bluetooth, Keyless Start. MP3 Player, Steering Wheel Controls, Child Safety Locks, Rollover Protection System, Electronic Stability Control.OPTION PACKAGESTRANSMISSION: 8-SPEED AUTOMATIC (850RE) Dana M200 Rear Axle, Hill Descent Control, Tip Start, ENGINE: 2.0L I4 DOHC DI TURBO ETORQUE GVWR: 5,400 lbs, Delete Alternator, 700 Amp Maintenance Free Battery, Supplemental Heater, 48V Belt Starter Generator, TRAILER TOW & HD ELECTRICAL GROUP Class II Receiver Hitch, 240 Amp Alternator, 7 & 4 Pin Wiring Harness, 700 Amp Maintenance Free Battery, Auxiliary Switches.VEHICLE REVIEWSNow made of aluminum, the doors are much easier to lift off, especially if you roll down the window so you can reach through and pull the door free with the new handhold under the armrest. -Edmunds.com. Great Gas Mileage: 24 MPG Hwy.MORE ABOUT USBaxter Chrysler Dodge Jeep Ram La Vista, a full-service car dealership in La Vista, is your source for new cars, trucks and SUVs both online and in our showroom. We also sell used vehicles and certified pre-owned vehicles. At our 7010 South 124th Circle location, we also provide Mopar parts and auto repair service. We're part of Baxter Auto, the largest dealer group in Nebraska.Fuel economy calculations based on original manufacturer data for trim engine configuration. Please confirm the accuracy of the included equipment by calling us prior to purchase.